For ten years, The Rosenthal Theater has been a literal and metaphorical stage for blossoming creative collaborations and meaningful mentorships. 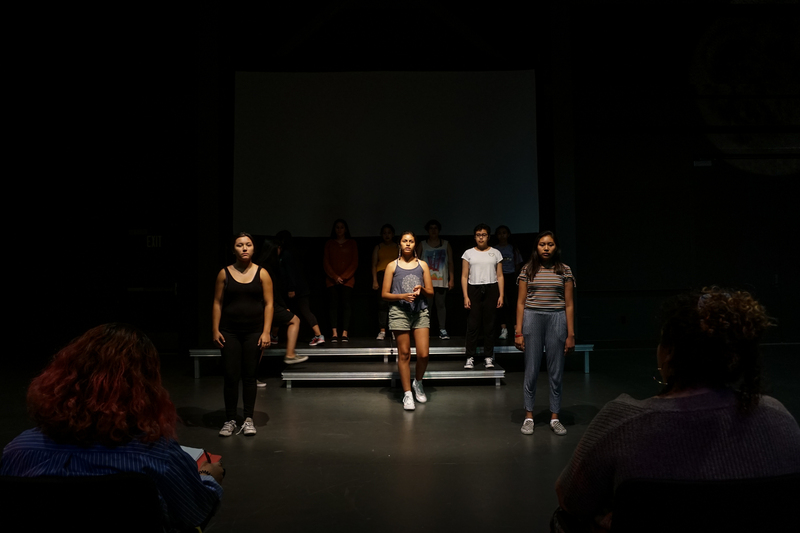 Last year, Inner-City Arts alumna, Moises Garcia, assisted a professional costume designer in the 2017 Inner-City Arts Repertory Dance Company Production, COME TOGETHER. This year, a new mentorship is taking flight. 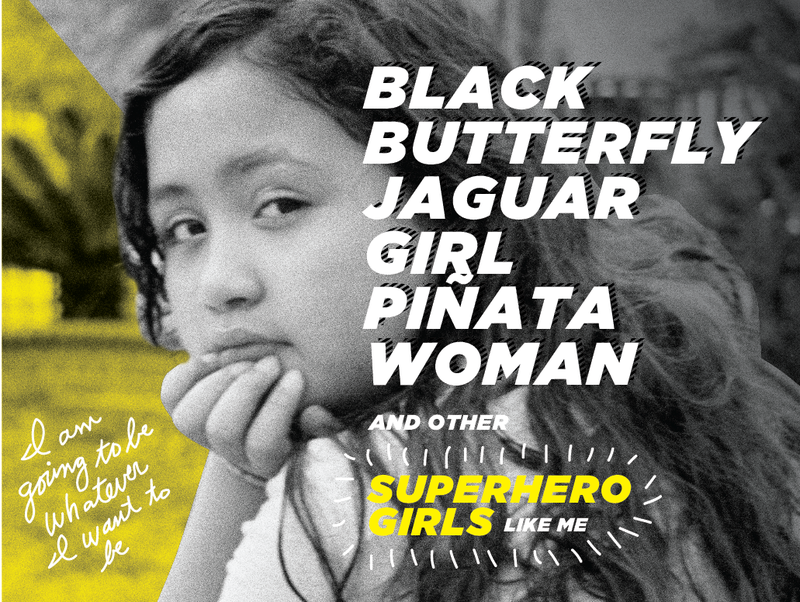 On July 21, the Youth Performance Ensemble will be performing Luis Alfaro’s Black Butterfly, Jaguar Girl, Piñata Woman and Other Superhero Girls Like Me. 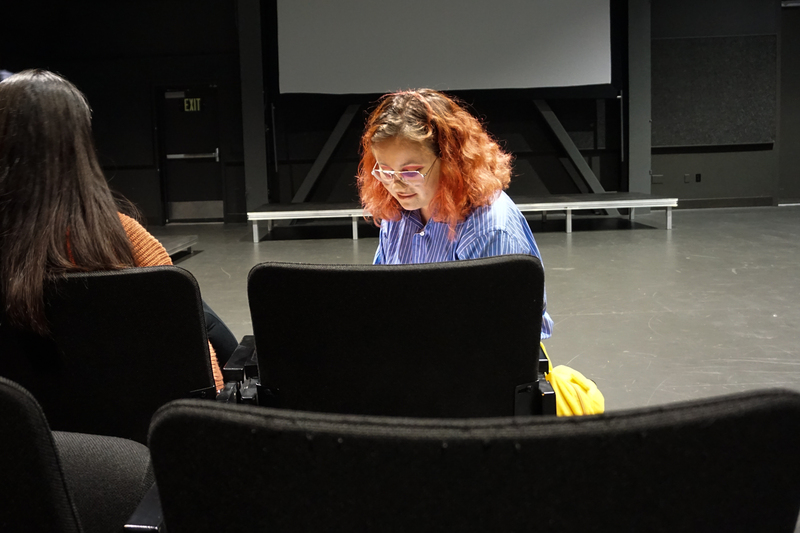 Elisa Bocanegra, associate artist and Artistic Director of Hero Theater, is directing the play and Delilah La Pietra, longtime Inner-City Arts student, will be her assistant director. Delilah, a current Work of Art student, has been a part of the Youth Performance Ensemble since its inception. 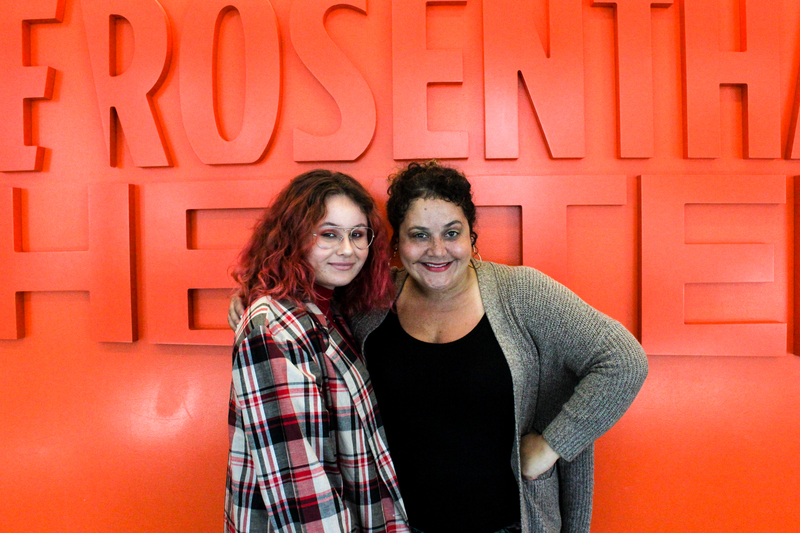 Having acted in numerous Rosenthal Theater productions, Delilah is now seeing a whole new side to theater under the mentorship of Elisa. And Black Butterfly is the perfect play for their collaboration. 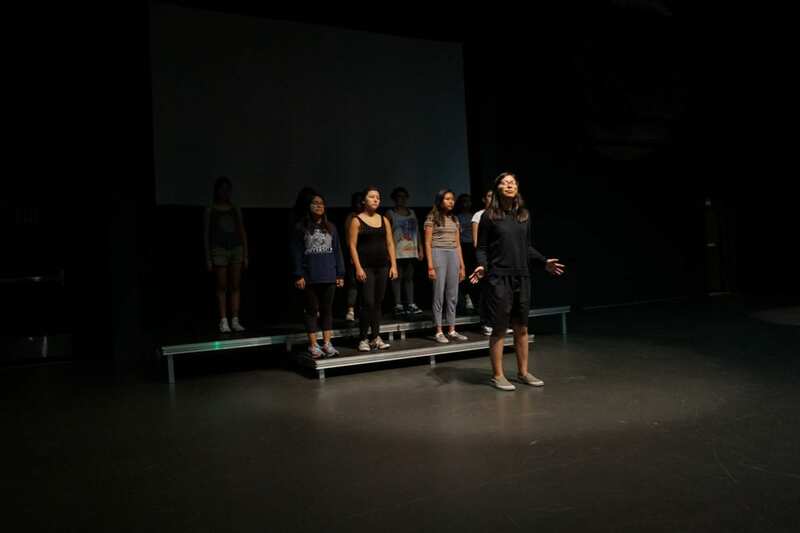 This play gives an honest and compelling voice to the painful, and amusing experiences of a young girl’s journey growing up in East Los Angeles. Against the backdrop of The Rosenthal Theater, Delilah and Elisa are learning from each other’s journeys. 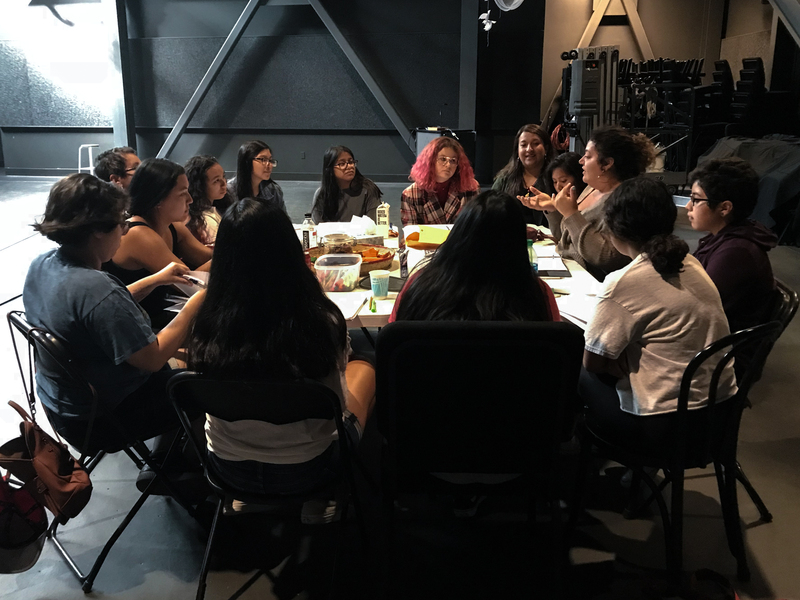 We took the time to sit and talk with Delilah, Elisa, Dolores Chávez, director of The Rosenthal Theater, about the upcoming production of Black Butterfly, Jaguar Girl, Piñata Woman and Other Superhero Girls Like Me. What inspires you about the play? Delilah: I think it’s super empowering to see girls my age be given parts about girls my age. And in an all-female production, there is an equal share of the spotlight with all of these women. This is amazing for me because I want to act professionally. As a young woman growing up and interested in becoming an actress, why do you think it is important for other young women to see this play? Delilah: Things stick with you more if you see yourself in it. I think that a lot of women, especially in Los Angeles and especially in underprivileged communities, don’t get to see that. That’s not fair. I think that if you are going to see a play, seeing yourself reflected on stage is essential and something that everybody should be able to experience. Elisa: You know one time in rehearsal, one of our young actresses said “Oh, this play feels so contemporary. I love it. It’s the way we talk.” That is so profound–when you find a young performer that connects so deeply with the material that they, themselves, feel like their generation is being honored. What have you learned about each other’s journeys—as artists and as women artists? Delilah: Working with Elisa has shown me that if you love something, you have to work hard for it. It’s just never going to be given to you. Elisa has taught me that you just cannot slack off, ever, if you want to be successful. No one is going to respect you if you don’t respect the art. Elisa: Delilah has a wisdom that is beyond her years. She’s an observer. The biggest thing I’ve learned from her is a celebration of coming age and self-empowerment. Delilah has a confidence that is very inspiring. It is very beautiful to see a young person in their own power. Dolores: You know Delilah has been a part of the Youth Performance Ensemble since we began the program. I had instinct that there was something more that she could get out of and offer to the program. Being a well-rounded artist that knows how to put on the show, how to direct the show, how to be in the show is important. This was an opportunity for Delilah to hold a different kind of responsibility – which ultimately is: how do I, as an artist and assistant director, make the room and the environment the most nurturing, happy, inviting, inspiring space so others can do their best work? It’s an amazing journey to watch — to see Delilah come off the stage and make the same magic happen for other people. Also seeing her generosity has been inspiring. Another student really wanted to be in this class and we were at capacity, Delilah offered her spot instead. Why now? Why this play right now? Dolores: To provide space for a young person to tell their story and to own it in this very poetic way — that’s always going to be essential and an urgent need. And we are looking at the people that come to this theater. 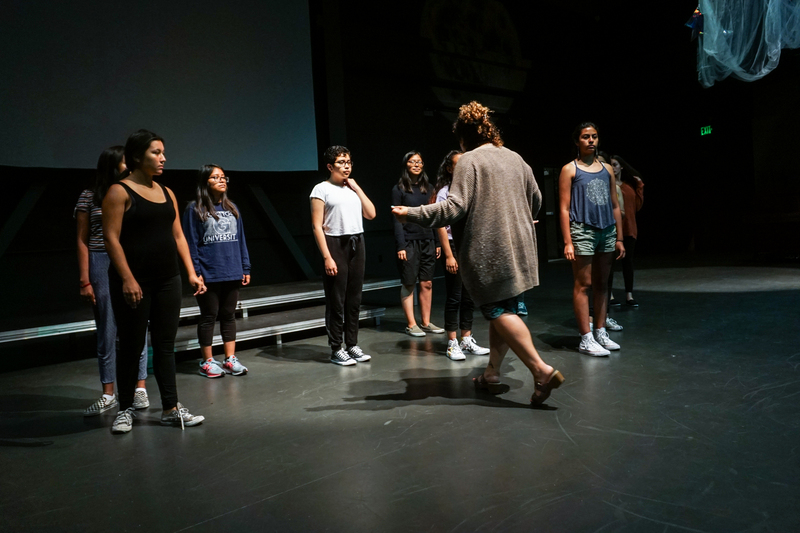 This play reflects the young Latina women who come to this theater — their families, their communities. It’s a story about empowering a young woman’s voice. Elisa: As an educator, performer, director, it speaks truth to young women coming of age. I feel that especially right now, in the wake of the Me Too Movement, there needs to be more of a celebration of women. Not only a celebration of women, but a celebration of young women growing up in a specific area of Los Angeles, young Latinx women. I’m interested in honoring and celebrating that community. Elisa: I feel it’s theater’s responsibility to move and inspire and connect. What I would love for the audience members to feel is love, empathy, and a celebration of womanhood. I’m really passionate about working with high schoolers. I’m from the South Bronx and it’s what they call, “my jam.” That’s my jam. It’s working with high schoolers. I’m a fierce advocate and ally for young people. I want audience members to take away a deepened respect for young people. The Rosenthal Theater and Inner-City Arts Youth Performance Ensemble present Black Butterfly, Jaguar Girl, Piñata Woman and Other Superhero Girls Like Me on July 21, 2018 at 2:00PM and 6:00PM.